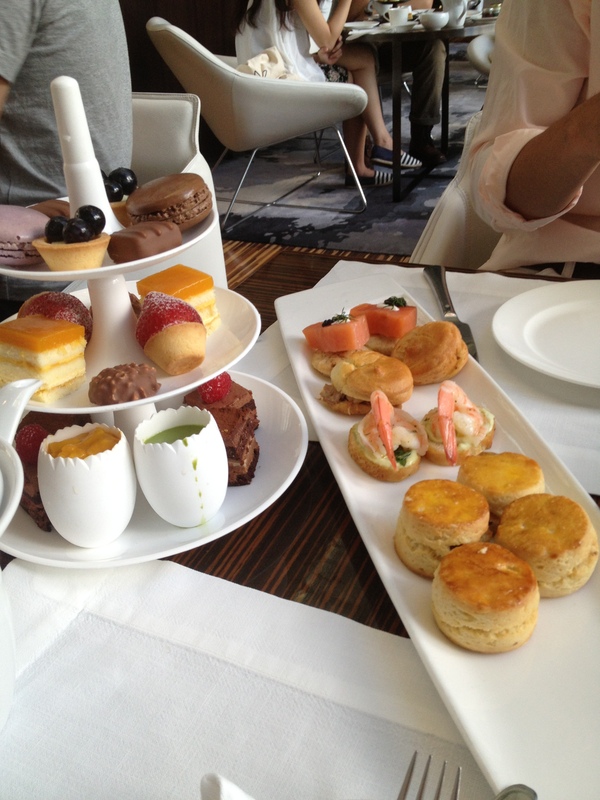 High tea is a must do activity for me in Hong Kong. It’s the best time to catch up with friends over small bites that could actually make me full, and I’m talking about eating small bites for at least two hours while talking. Around the week before I was going back to Vancouver, I met up with a friend from the UK to high tea at Green in Hotel Icon. I was very impressed with Green’s interior design especially with their massive vertical green garden on their walls and top to bottom windows while I soak in all the sunlight. Going with the usual, we ordered the 3-tier afternoon tea set for HKD388 for two people and I had the Verbena mint tea. I have to say that I expected taller tiers with all the bites on it but I guess not. The tiers included chocolates, blueberry tart, lavender earl macaroon, chocolate macaroon, strawberry tart, mango cream cake, chocolate cake, and raspberry and chocolate cake. The two mini egg cups is green tea pudding and sweet mango with vanilla bean pudding (the best). On the plate were salty treats including smoked salmon on crispy cracker, fresh cold shrimp with shrimp tartare on mini crackers, and assorted scones with fluffy Devonshire cream and jam on the side. The shrimp tartare emitted a creamy and herbed sensation while the smoked salmon was fleshy and moist with the cracker. Perhaps it was a bit of a chocolate overdose in this tea set, but I enjoyed all the chocolate sweeties as well as the shrimp with shrimp tartare on a mini cracker. Wash it all down with a nice cup of Verbana Mint tea. I had high tea at the Peninsula once when lived in Hong Kong. It’s an experience I won’t forget.